﻿ What is Marketing Automation? » Red Mango Marketing! Marketing automation is one of those terms that sounds like it’s for big businesses with big budgets. But the truth is that small businesses can benefit from a few simple marketing automation tools — tools that deliver better experiences for your growing customer base with less effort from you. Many of these marketing automation solutions are available right within your Constant Contact email marketing account. New to Constant Contact? You can try it out with a free 60-day trial! Sounds almost too good to be true, doesn’t it? Let’s spend a few minutes exploring what marketing automation is, why you should try it, and how you can get started right away. Marketing automation means removing the manual work associated with a marketing task. When you think of marketing automation, think: set it and forget it. For example, say you’re collecting contact information from your website visitors with a pop-up form. If contact information is automatically added to your email marketing service, that is an example of an automated marketing process – it is taking repetitive tasks off of your busy marketing team’s plate and automating it. Why would you want to automate your marketing? As a small business owner, you already have plenty on your plate. And as your business grows and more leads start flooding in, it becomes even more challenging for your sales team to offer incredible experiences to everyone that interacts with your business. Marketing automation helps you take care of both new and existing customers through long-tail lead nurturing and drip campaigns. This means you can create a customized buyer’s journey even if you don’t have time to guide them every step of the way. While some business owners initially worry that automated marketing campaigns could result in impersonal experiences with leads, if executed correctly marketing automation delivers highly personalized and timely experiences that will convert prospects into customers. Or first-time customers into loyal repeat business. The only challenging part of automating your marketing is that it often takes a little work and planning upfront. If you’re brand new to marketing automation, you probably have no idea where to start. Luckily, with marketing automation platforms like Constant Contact, you have some easy-to-use tools built into the product so you can get started easily. In a competitive market, first impressions are everything. If someone signs up for your email list, it’s up to you to delight them right away with interesting and helpful content and enticing offers. Setting up a Welcome Email is easy in Constant Contact. Head over to the “Campaigns” tab, hit the big “Create” button, and select “Email Automation” to get started. Automated welcome emails reach new subscribers when they’re new to your list and highly engaged. Bonus: A welcome email is a great start nurturing leads through the buyer’s journey… but really it’s just the beginning. Why not go a step further with your automation by creating a simple three-part welcome series to really give new subscribers a warm welcome? You can do this right within that “Email Automation” section we talked about. This time create an “Autoresponder Series” that will automatically send to new subscribers at the frequency you desire. Read Bria’s blog post: Why Your Welcome Email Is Not Good Enough for inspiration on what to include in your automated welcome series. A warm welcome ensures your new email relationship is off to a great start. Now comes the hard part: keeping your subscribers engaged over time. No matter how much someone cares about your business, it’s natural for them to lose some interest after they’ve been on your email list for a while. What’s one of the best ways to re-engage a long term subscriber? Offer them a delightful, personalized Birthday or Anniversary Email. Constant Contact has plenty of templates that make a special message easy to set up. Start collecting Birthday information whenever a new subscriber joins your list. Then, head back to that handy “Email Automation” section in your Constant Contact account to create an automated email that sends on a subscriber’s birthday or anniversary. This is a great opportunity to thank them for their continued support and offer them a special birthday gift — whether it’s a small freebie or helpful guide. Tip: This two-minute video tutorial walks you through how to create an automated Birthday or Anniversary Email. No matter how hard you try to keep prospects engaged, there will be times when even your most loyal subscribers miss one of your messages. People are busy and it isn’t easy to catch every message that comes through a busy inbox. That’s why I love having the ability to automatically re-send some of my most important emails to anyone who didn’t catch them the first time. This super simple automation solution can drastically increase your email open and click-through rates. Personally, I don’t use this feature every time I hit send, but I absolutely use it to boost engagement on important email campaigns — like a major sale or event announcement. Constant Contact’s Resend to Non-Opener feature comes into play right when you’re about to send or schedule an email. 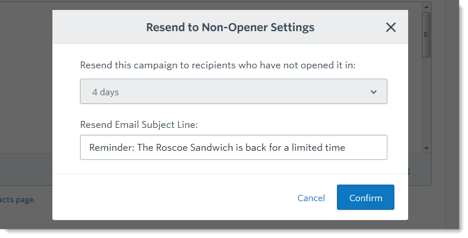 Simply check the “Resend to Non-Openers” tab when you’re ready to send. Then, decide when you want the resend to go out and tweak your subject line to try to catch some attention the second time around. This data-driven marketing automation takes seconds to set up and, in my experience, has resulted in greater engagement and conversion every single time I’ve used it. So worth it! I get it. Marketing automation doesn’t sound like the easiest or most exciting way to boost your business, but don’t underestimate the impact it can have on your business and overall marketing efforts. Looking for an easy way to get started? Start automating your marketing today by setting up a winning Welcome Email, delighting your email subscribers with a Birthday or Anniversary Email, or increasing your open rate with the new “Re-send to Non-Openers” feature. Join thousands of companies who are streamlining their marketing strategy using automation through Constant Contact’s automation platform. Sign in to get started. If you’re new to Constant Contact, test it out with a free 60-day trial! 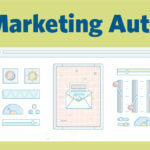 The post What is Marketing Automation? appeared first on Constant Contact Blogs. This entry was posted on Tuesday, July 24th, 2018 at 8:00 am	and is filed under Automation, Email Marketing, News & Updates. You can follow any responses to this entry through the RSS 2.0 feed. Both comments and pings are currently closed.